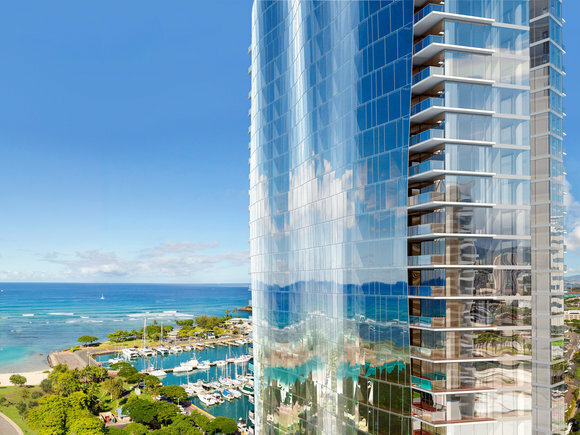 HONOLULU (January 5, 2016) - Ward Village®, a master planned community by The Howard Hughes Corporation® (NYSE: HHC), has announced its newest project: Ke Kilohana at 988 Halekauwila Street. 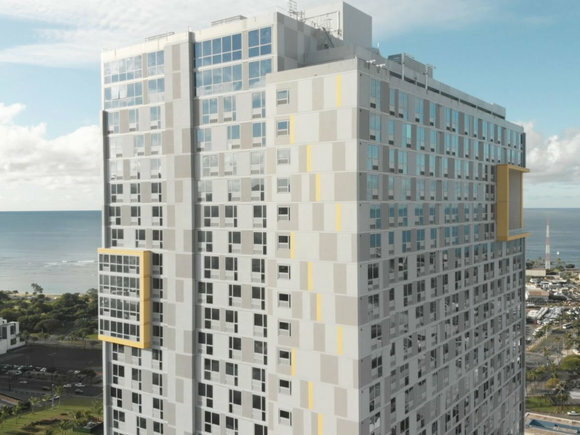 The 43-story, 424-unit mixed-use condominium high-rise will include 49 market-priced residences and 375 residences reserved for qualified Hawaiʻi residents. Residences will include one-, two- and three- bedrooms, ranging from 461 to 2,106 square feet, with prices starting from the $300,000s. 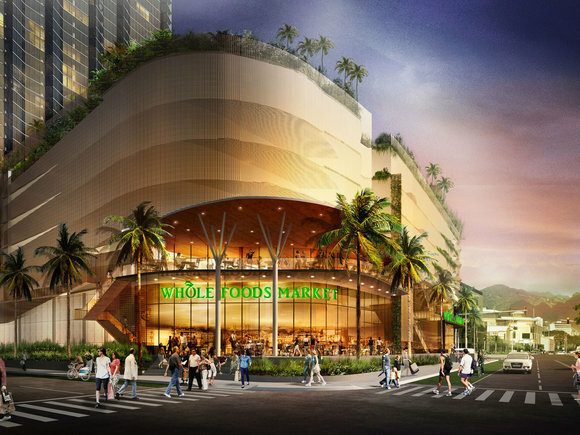 Ke Kilohana will also offer many amenities and conveniences, including a flagship 23,000-square-foot Longs Drugs store on the ground floor. Ward Village is dedicated to helping Hawaiʻi residents prepare to be a part of the reserved housing home-buying opportunities at Ke Kilohana by providing free educational workshops, explaining the reserved-housing qualifications and process. Four one-hour workshops will be held at the Hawaiʻi Convention Center on January 10. Previous workshops held in December 2015 included over 1,000 local residents and brokers. "Ke Kilohana will expand the residential opportunities available in Ward Village, enabling more of our kamaʻaina the opportunity to experience life in this exciting, new urban community," said Todd Apo, vice president of Community Development for Ward Village for The Howard Hughes Corporation. 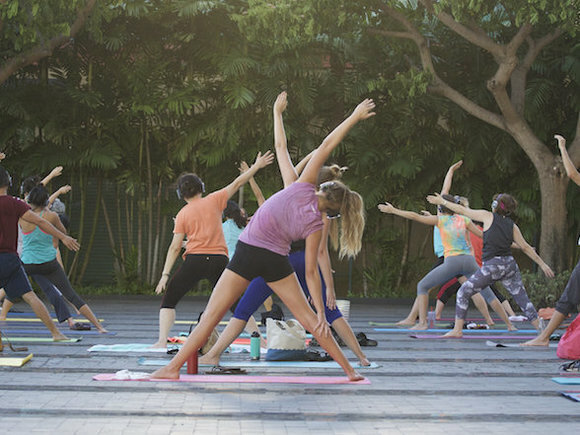 "This walkable neighborhood is continuing to transform into an authentic district of diverse residences, shops, restaurants and public spaces, making Ward Village one of the top places to live in Honolulu." Through name and design, Ke Kilohana continues the efforts of Ward Village to weave together the history of the area with the excitement of today's local, urban culture. Ke Kilohana takes its name from one of the highest mountains on Oahu, and its logo honors the majestic Koʻolau range that sets the backdrop for these new residences. Designed by the award-winning architecture and design firm AC Martin and Honolulu-based architecture firm CDS International, Ke Kilohana's design elements are inspired by Kakaʻako's vibrant art community with motifs, colors and patterns that enhance its urban feel. 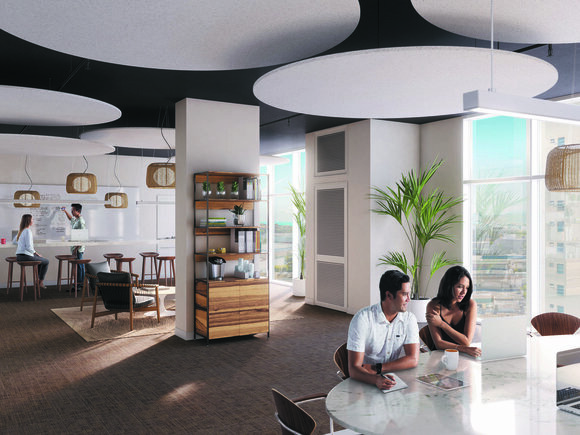 The building's amenities are designed for a lifestyle of convenience, connectivity and well-being, including signature sky lanai overlooking the ocean; a private movie theater; a fitness center with an on- demand workout area and keiki playroom; a co-workspace with meeting areas; a music studio and karaoke room; a dog park; a landscaped sky deck with BBQ grills; and indoor/outdoor lounges for dinner parties and casual events. Registration for the complimentary reserved-housing workshops in January can be completed online at: www.kekilohana.com. Sales for Ke Kilohana are expected to begin in early 2016. The Howard Hughes Corporation owns, manages and develops commercial, residential and mixed-use real estate throughout the U.S. Our properties include master-planned communities, operating properties, development opportunities and other unique assets spanning 16 states from New York to Hawai'i. The Howard Hughes Corporation is traded on the New York Stock Exchange as HHC with major offices in New York, District of Columbia, Maryland, Dallas, Houston, Las Vegas and Honolulu. For additional information about HHC, visit www.howardhughes.com. Reserved housing is a program created and administered by the Hawaii Community Development Authority ("HCDA"), the State agency that oversees development of Kaka'ako, which includes the 60 acres of Ward Village. 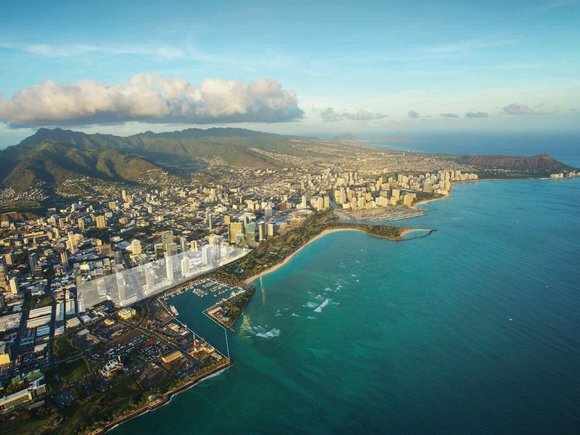 As a part of the entitlement process for the development of Ward Village, including the approval of its master plan, a designated percentage of total units, based upon actual build out under the master plan, must fall within the Reserved Housing program. 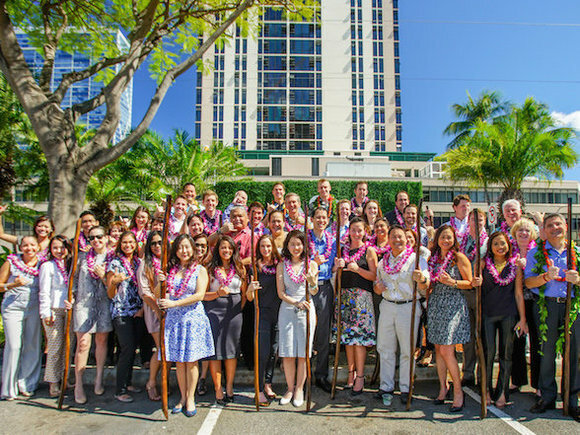 The program sets certain buyer qualifications (including residency, family income, and asset holdings) and unit prices, based upon factors such as HUD reported area median income limits for Honolulu, expected maintenance fee and real property taxes, and current interest rates at the time of pricing.